Two (2) Ceramic Tureen’s created by Pillivuyt of France – with decorative Pewter top housing a pewter animal design and porcelain top to go into the oven and the pewter one for serving. 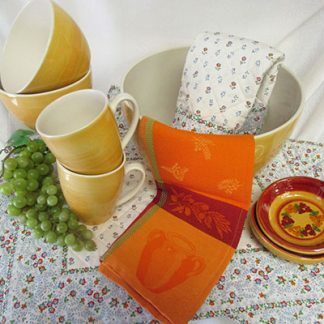 Size: L: 6 inches, W: 4 1/2 inches, H: 3 3/4 inches. 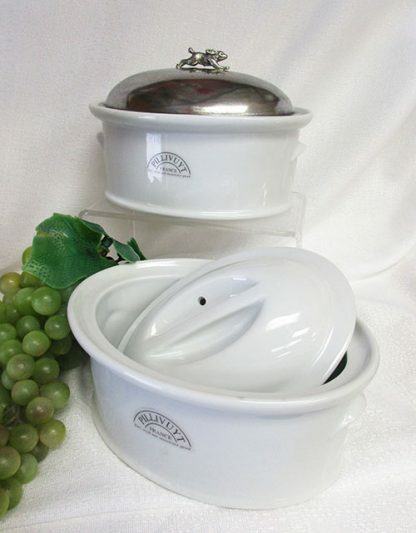 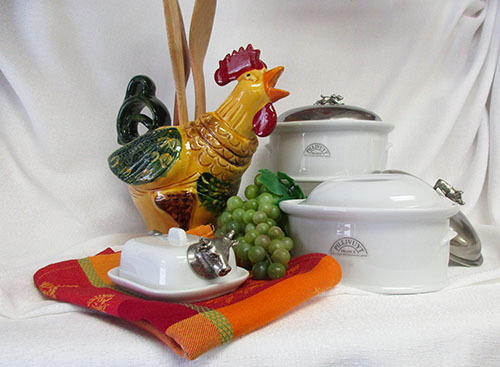 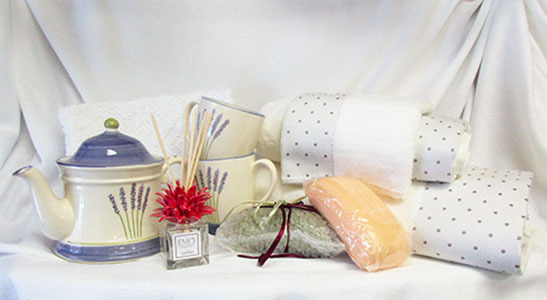 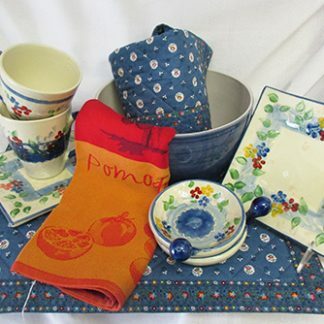 Our tureens are oven safe, microwave safe, freezer safe and dishwasher safe. 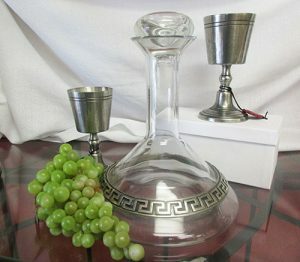 Pewter tops can be wiped off with soft cloth and warm water. 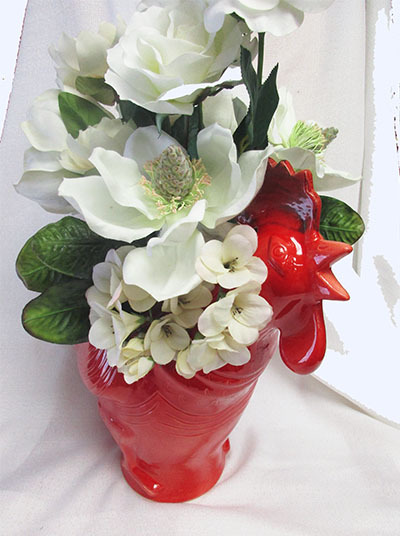 One (1) – “Adopt Remi the Rooster” small decorative vase/utensil holder from Souleo Provence Pottery – artisan pottery / hand made and hand painted in France. 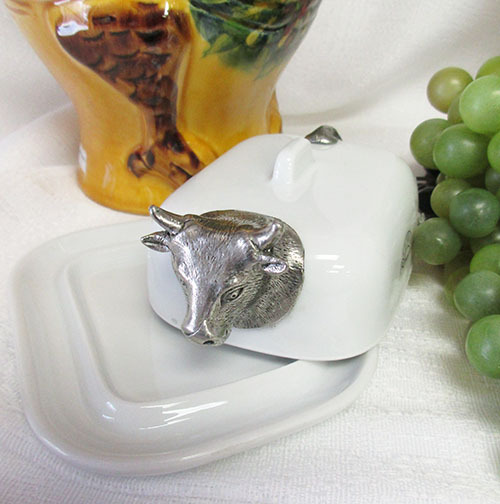 One (1) -One of a kind “amusing” Pillivuyt ceramic butter dish with pewter cow head and tail – Size: L: 4 3/4 inches, W: 3 1/2 inches, H: 1 1/2 inches.